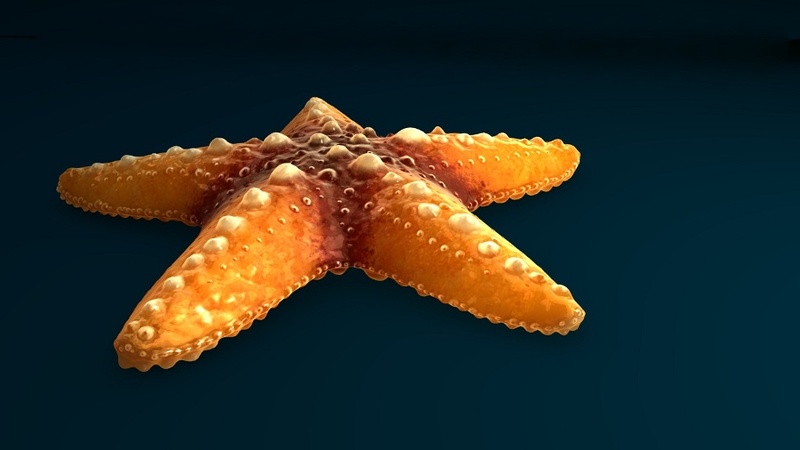 For my lecture on the Blender Day ’09 I did a small and quick scene of a starfish which I wanted to give some comic-style with the Material Nodes in Blender. To get a nice and detailed surface, I used the sculpting tool (mainly anchored brushes) on a highpoly-model (Multires Level 7) and later baked the normals and the displacement to a model with less detail (about 9000 Faces). This was not so much necessary for rendering the scene but very important to get the file size down and the undo working again. That’s really nice. Great material – I’d love to see a blend. Thanks. 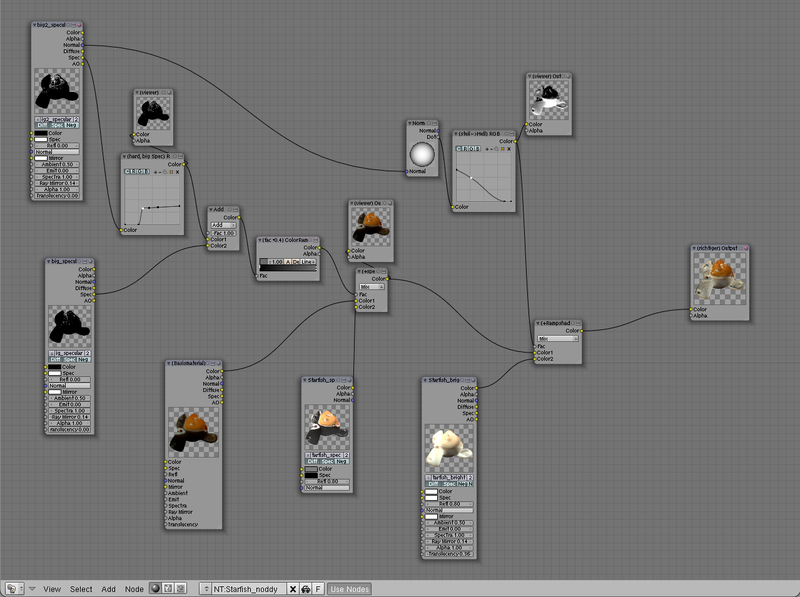 You can find a blend-file on the BlenderDay-Website (there, to be more precise: http://blenderday.de/?page_id=192 ). It’s the .zip-file. Kudos! Thank you blendipel for the .blend file.